So yesterday a new Star Wars 7 movie trailer hits the internet and then a trailer for Batman v Superman: Dawn of Justice (2016) leaks online after a Brazilian records with a shakey camcorder the trailer in an advanced screening of the Avengers 2 film w/Portuguese subtitles. Like a hawk, WB has been taking the leaked trailer down left and right on YouTube. I read somewhere that the new suit is supposed to be more armored and have "green" kryptonite to help protect him against Superman's punches. I didn't read the comics, so I don't know much about it or how Batman may have got his hands on the source. A quick Google search reveals that green krypton was created after the explosion of Krypton. As for the bat-voice? While it doesn't sound exactly like the ol' Christian Bale. It's been confirmed to sound altered. Most likely due to fact that there will be modulation in Affleck's voice from being inside the new Batman armored suit. Two epic trailers in one day. I can't get anything done at work in the last 24 hours. Nerdgasm. I think the trailer will show in front of Avengers 2 IMAX screenings next week for select theaters in the states and then it'll probably pop online officially on YouTube or other people go to sites. Can't wait to hear your guys thoughts on it. God..... March 25, 2016 feels sooooo far away. This x100,000. And for reasons that have little to do with Ben Affleck being cast as the caped crusader. Zach Snyder is awful and I'm already sick of edgy reboots. STOP IT, YOU CAN'T MAKE HIM ANY EDGIER!! Someone smarter and funnier than me needs to "reboot" the Adam West style "WIZ" "BANG" "POW" batman. That's something I'd actually be excited about. Batman using a power suit thing to fight Superman isn't exactly a new thing. 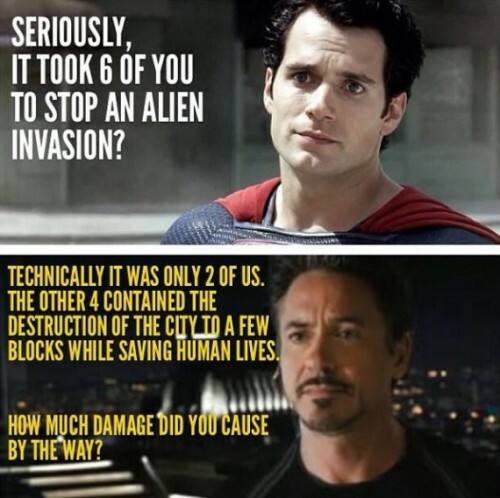 I'm pretty sure it even happened like a decade before Iron Man ever used a special suit to fight The Hulk. Had to look it up, and you are pretty close. Looks like Dark Knight Returns (where I think that armor came from) showed up in 1986, and Hulkbuster armor showed up in 1994. When I saw the trailer, that armor is precisely what I thought of. Whether it is new or not doesn't change the fact that it looked ridiculous (to me) in the five second clip of it in the trailer. You're comparing it a lot to the Iron Man suit(s), and appearance-wise I'm really not seeing how it looks any worse than any of the Iron Man suits (which I think look great too). I'm only slightly familiar comics but it makes sense to me that Batman would need some kind of special suit to fight Superman, prime or not. On that note, do we even know much about the movie other than that Batman is using this suit and that Batman and Superman are going to fight? For the record, I think Man of Steel was really bad, I just don't see any reason to dislike this movie yet. Low expectations, I can understand, it just seems like people are making a whole of assumptions to rip on the movie for no real reason. 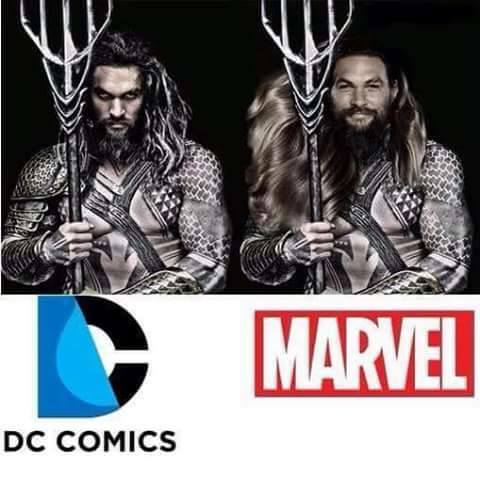 And personally, I've never really cared about how one movie might affect another, even with the Marvel Universe. I just want good movies. Honestly half the time I feel like the Marvel movies are so obsessed with their universe it negatively impacts individual movies (Iron Man 2 is my go-to example). Batman since at least the 60s has tried to move away from killing crooks and other badguys, Powered Armor kinda makes it hard to do that though so it makes sense not to resort to it in that capacity at least. Plus, one of Batman's superpowers has always been to be crazy prepared at all times, so how do you know if he hasn't always had that Powered Suit just lying around? So what do you guys think of Dawn of the Dead 2004? Or how about Legend of the Guardians? Watchmen was good, iirc, but I haven't seen it all and still need to read/watch the comic. Man of Steel was decent and inoffensive, I suppose. I'm all for a powered bat suit, superman is no joke. Short of a kryptonite ring or a hostage, Batman really can't just go toe to toe with supes. Besides, we all know that the Batman/Superman fight is just for coolness sake. Whatever draws a crowd, right? On that note, do we even know much about the movie other than that Batman is using this suit and that Batman and Superman are going to fight? For the record, I think Man of Steel was really bad, I just don't see any reason to dislike this movie yet. Low expectations, I can understand, it just seems like people are making a whole of assumptions to rip on the movie for no real reason. Oh you are going to love Batman v. Superman if you don't like movies obsessed with their universes. Off the top of my head, I know that Aquaman, Wonder Woman, and Lex Luthor will all be in the movie. I think there are other characters from the Justice League which will be showing up as well because this movie really is Justice League part 1. Side note, love Iron Man 2. Yep... a lasso being used under water. To clarify, what I mean by that is more that I hate it when Marvel movies have a very obvious part where they stop the movie so they can advertise another movie, especially if its at the expense of the story of the movie I'm currently watching. Iron Man 2 is my prime example of this and one only needs to watch a couple interviews with Jon Favreau and/or Mickey Rourke to get a pretty rough idea of what was going on behind the scenes/ended up on the cutting room floor. They're getting a lot better with that though, I don't think any of the Phase 2 movies had that problem. I Use My Powers for Evil! I Use Them Any Way I Want! Personally, it's not Affleck that's giving me trouble. Affleck will probably be the best thing about the film, I hope. He has learned to grow and mature as a performer since his dog days of Daredevil. Plus, he's recruited the screenwriter from Argo to replace Goyer at the script's helm. PS- Suicide Squad has the potential to be good, provided they realize the Joker is NOT supposed to be the focus of the movie. It would be better if he was just a cameo rather than an actual player in the plot. I love Margot Robbie and the rest of the cast looks decent. I Am The Rocker! I Am The Roller! I am The Out-Of-Controller!